He was trying to make it easy on Rock so he would stay. But Rock couldn’t stay. He was a kid too, with a football career in his future. He didn’t have time to save us. “He can’t stay forever, you know. He has a life and a future. We will be okay when he walks away. We have each other,” I reminded him. Krit didn’t respond. He kept making Rock a bed on the floor beside my bed. “You know that, right?” I asked again needing Krit to acknowledge that this wasn’t something he should get used to. I started to say something but Krit left my room before I could think of what to say. Moments later Rock walked back in wearing a pair of what looked like board shorts and a Sea Breeze Football tee shirt. His gaze landed on the spot Krit had made for him on the floor and a small grin tugged on his lips. Then he turned his attention to me. “I think he likes me,” he quipped. I didn’t smile. Not because my lip was hurt but because Rock didn’t understand the truth to his comment. I had to protect Krit. Letting him trust in Rock was a bad idea. What about me? I was sure it would break my heart when Rock walked away from this. But I was tough. I could deal with it. My brother had emotional issues that I didn’t have. He lost it and went crazy when things were too much for him. The end of the Sea Breeze series is bitter sweet. I mean, Abbi Glines could have kept writing stories about this bunch, giving every minor character their own story, but she knows that's not the way to go. So instead we get one last story, which is actually the first one. Trish and Rock were already in a relationship when this series started and fans always wondered how they had ended up together. From Krit we know that his and Trish's upbringing was bad, though seeing it now, it's even worse than I'd imagined. 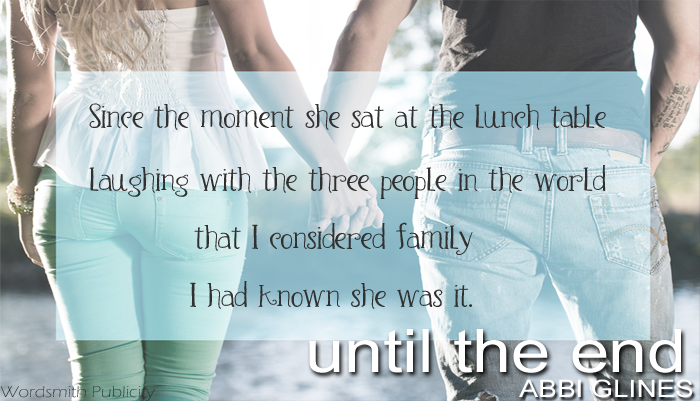 While Trish's past isn't a happy one, when Rock entered her life that changed. At first she wanted nothing to do with him.She had bigger problems on her mind than boys and jealous girls. Rock doesn't know what to do with that fact. Girls always love and want him and Trish's rejection has him stunned. Though he can not get her out of his head. When he finds out why she tries to keep her distance, he becomes even more determined. So Rock in the end might have been Trish's hero, you have to remember that it wasn't all about saving her. Trish has always been able to take care of herself and protect her little brother. She's scared that any outside interference would only hurt her and Krit even more. Rock really hasn't had an easy time convincing her of his feelings and well since he's an amazing guy of course he would want to help the love of his life. I was surprised how much Rock gave up in the end for a future with Trish, but I believe his dreams simply changed over time and his priorities shifted. 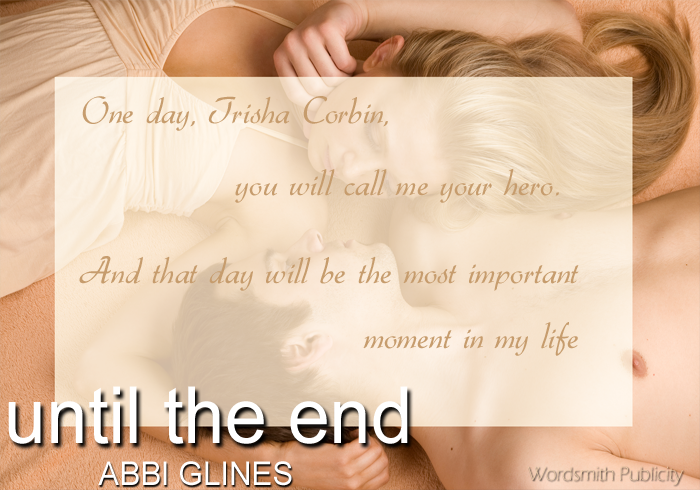 It does feel like the fans asked for this book and Abbi Glines delivered, and then some. Reading Trish and Rock's story was nice, though it didn't have my heart beating in overdrive. Still because it's the ending and I love the characters so much, it's all so bittersweet. Every couple from the past eight books got their own very short story. 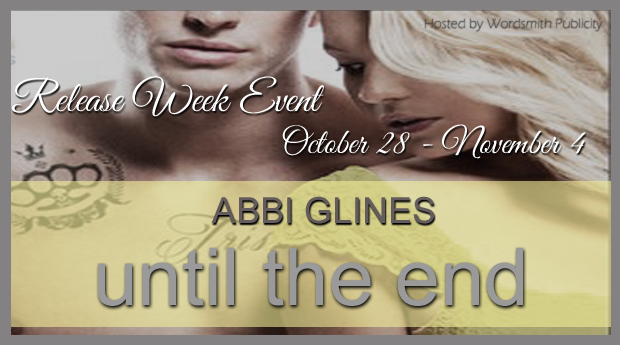 I loved seeing everyone again, though I wasn't expecting some of the heavy drama Abbi Glines can put a couple through in a few chapters. Still everything wrapped up very nicely. Even things were looking very positive for Green, which I know is something fans have been asking for. It's mostly that last chapter and more specifically those last two words, that has the internet and fans going crazy. Honestly, you can not blame them and I was also left stunned and giddy. Without spoilers, it's also something the fans have been asking, praying and wishing for. 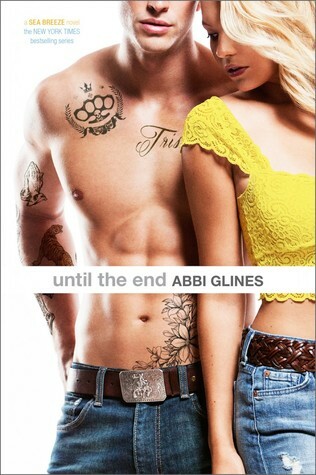 I believe miss Abbi Glines has even more up her sleeve.